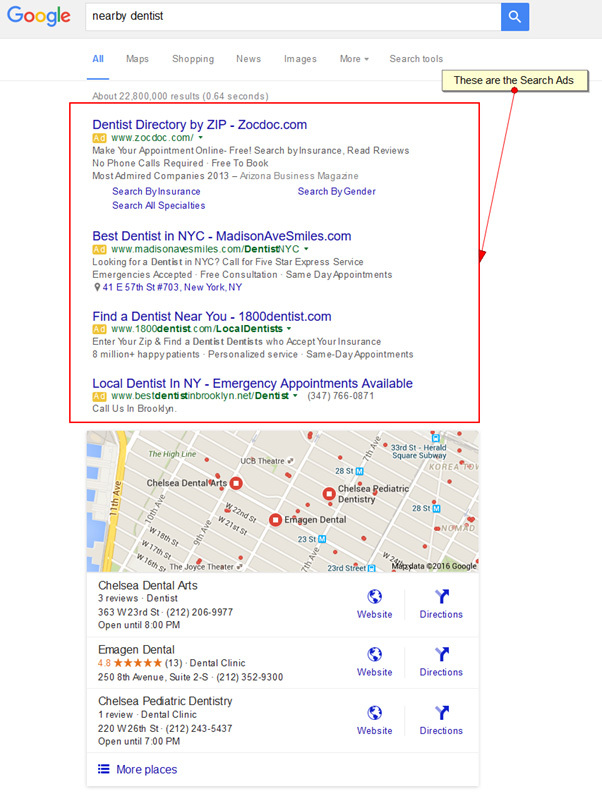 There is a misconception about the Google AdWords Display Network. Many believe it is only for big businesses running large-scale branding campaigns (think Coca-Cola). When display ads are set up and managed correctly, they can be just as effective as search ads in driving direct leads and sales. Let’s take a closer look at this misconception. First, let’s define the two types of advertising: branding and direct response. The misconception surrounding display advertising (branding) stems from a lack of understanding about these two very different types of advertising. That’s all the billboard says. There’s no mention of what the company sells, where they are located, how to contact them, or what to do if you’re interested in buying whatever it is they sell. In other words, the goal of the ad is simply to drive more awareness of the brand. That’s why the key metric measured in display advertising is ad impressions, or how many times the ad was displayed on a web page. Direct response ads are starkly different. The goal of direct response ads is not awareness, it’s action, or response. Therefore, the key metric to measure is conversions (after prospects click on the ad). The focus of this guide is how to create a profitable direct response AdWords display campaign. If you’re only interested in branding and ad impressions, then this is not for you. Before we get to the 8 steps, let’s clear up another area of confusion. The Google AdWords Display Network provides advertisers with the opportunity to place ads on relevant web pages and sites across the Internet. With over a million websites, videos, and apps where ads can be displayed, this network can dramatically extend the reach of advertising campaigns beyond Google’s Search Network. As you can see, the Display Network allows you to expand your advertising reach to your target prospects as they surf around on other websites. Since your prospects are not actively searching for your product or service, we call this form of advertising “interruption marketing.” You are interrupting your prospect as she surfs the Internet. Because of this critical difference between the Search and Display Networks, it’s important to create separate campaigns to target each network. In other words, do not target the Search and Display Networks in a single campaign! OK, with that introduction out of the way, let’s dive into the 8 steps for building a profitable Google AdWords Display campaign. The first step in this process is to determine if it’s possible for your business to create a profitable display campaign. This requires the assessment of 3 key components of an AdWords campaign. First, you need to determine which products you’ll advertise. Start out with the ones your target customers are most likely to buy. This will give your campaign the best chance for early success. Determine the number of new customers your business can handle, as well as your available resources. If you’re a dentist, for example, you’ll want to match the scope of your campaign to the number of new patients you can actually accept. This will maximize the cost-efficiency of your advertising spending. Compare your profit per customer vs. the estimated cost of acquisition. This calculation depends on your sales cycle. For example, if your prospects first have to call you, and then you close the deal over the phone, that is going to be a different analysis than for an e-commerce sales cycle. Use historical numbers if you can to calculate your overall conversion rate. If 5% of visitors will call, and then you’ll convert 10% into customers, your overall conversion rate is 0.5%. If we assume a cost per click of $1, then your estimated cost of acquisition is $200. Next, compare that to your average profit per customer to determine whether or not the numbers make sense for your business. After determining that your campaign can be profitable, you’ll need to define the perfect customer for your business. This research will allow you to get into the mindset of the people who are most likely to buy your products or services. Then, you can focus your ads toward your target market with laser precision. Defining your ideal customer generally serves as the foundation of any campaign, and it starts by creating what we call a customer avatar or a customer persona. What is the primary problem they are dealing with? What are the best offers that will encourage them to take action? Why are they looking for a solution? How does your product or service provide the best solution? This information as it pertains to each customer avatar can later be used to build your ads and each landing page for optimal performance. We’ll get to that soon, but first we need to select your targeting. Demographic targeting focuses on the characteristics of your customer avatar, including gender, age range, marital status, parental status, and household income. 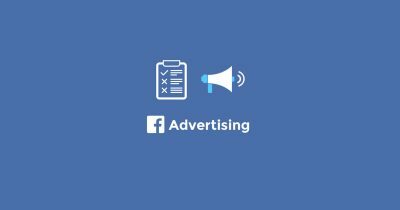 With this targeting, you can direct your ads to an audience that has the same characteristics as the targeted avatar. You can also prevent ads from being shown to people who don’t match your avatar’s characteristics by excluding specific demographics. For example, if you’re advertising women’s sweaters, you can exclude men. This advertising option places ads on web pages that contain content that matches the keywords you have selected for your campaign. The idea here is that people who are reading content that contains specific keywords might also be interested in ads that include those same keywords. For example, a business that offers estate planning services could start a contextual ad campaign using “estate planning” as a keyword. Google would then go out and find all the relevant web pages with content that contains the keyword. In this example, if the online version of Forbes magazine publishes an article that mentions estate planning, Google will see that there is a match between the article and the campaign’s keyword, and then place an ad on the page where the article appears. Audience targeting can be set up based on either interest or remarketing. Interest targeting is based on the past browsing behavior of people surfing the web. For example, someone interested in NASCAR racing might be a repeat visitor to nascar.com and other sites related to car racing. Google can track these visits, figure out that the person is interested in car racing, and then start displaying racing ads on subsequent visits to other pages. Remarketing targets people who have already visited your website. Remarketing works by placing cookies on the computers or devices of visitors when they arrive on the pages of your website. The information contained in these cookies allows Google to repeatedly show ads from your site as people surf around the web. 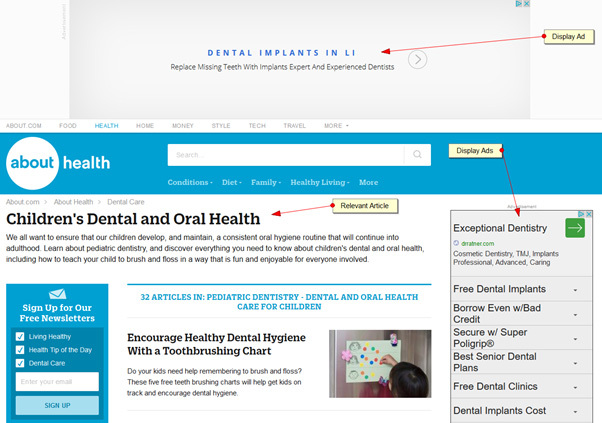 Using the “Placements” option allows you to specify the web pages or websites where your ads will be displayed. To learn more about any particular placement, click on the website, and you’ll see the ad inventory, demographic information, and the accepted ad formats. Review this information to determine if the placement is a good fit for who you’re trying to target with your ad campaign. Let’s start this section with a reminder that, unlike ads on the Google’s Search Network, your prospects on Google’s Display Network are not actively searching for your products and services. In this context, display ads are interruption marketing, so they must stand out, be highly relevant to on-page content, deliver a compelling offer, and have a strong call to action. This type of discount can be awarded in the form of a percentage or dollar amount that’s taken off the price of a first visit or purchase. For example, a chiropractor could offer a 50% discount on first-time visits, or a business could offer a discount on the first month of a recurring service. Providing free information in the form of guides, e-books, or whitepapers offers some of the same benefits as free consultations. The difference is that this type of offer allows your business to build trust and present solutions, but without the investment of time required for in-person meetings. Free case evaluations and consultations are used by a wide variety of businesses, ranging from personal trainers to law firms. This type of offer allows for direct engagement with prospects, providing the opportunity to build credibility and present solutions. Strong guarantees show prospects that your business stands firmly behind its products/services. One of the most common offers of this type is a guarantee of a full refund for a specified period of time if the buyer isn’t satisfied. These offers can be strengthened further when they are positioned as being “risk free” for buyers. The offer of a free gift generally provides consumers with the perception that they are getting added value. This type of offer, usually announced with a call out to “Wait, there’s more!! !” has been a staple of infomercials for decades. Now that you have set your benchmarks for profitability, defined your perfect customers, selected your preferred targeting options, and developed a compelling offer, you can create the ads that will drive clicks and visits to your website. Your ads have two primary goals. The first, as previously mentioned, is to attract the prospects who are most likely to make a purchase or take another desired action. The second goal is to prevent unqualified prospects from clicking on your ads. For example, if you don’t cater to a certain subset of consumers who could see your ad, you can include copy that lets them know the ad does not apply to them. For example, in the investment space, you may see ads that start with, “If you’re looking to invest over $100,000…” Adding that kind of language can substantially decrease the number of clicks by people who don’t qualify for what the business is advertising and can save money that might otherwise be spent on wasted clicks. Keeping in mind the primary objectives of attracting the right prospects and dissuading unqualified prospects, let’s review the 3 key components in each of your ads. You know the specific characteristics of each customer avatar you’re targeting because you defined your perfect customers in step 2 and selected your targeting options in step 3. This will ensure that your copy is relevant to your audience when ads are displayed on the web pages and sites they frequent. These are the 5 different types of offers that were covered earlier (first-time discount, free information, free initial service, meaningful guarantee, gift with purchase). The best performing offers will focus on the benefits of your products/services, rather than the features. If you’re unclear on the difference between features and benefits, think of features as what the product can do. Benefits are what the product can do for the consumer. Starting with text ads will allow you to test the ads for the highest click-through and conversion rates on your site. 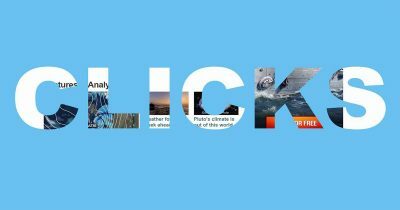 You can then create image ads in all the major dimensions (728×90, 300×250, 336×280, 120×600, 160×600, 250×250, 200×200, 468×60) that include the content from the text ads that delivered the best results. If you will be running text and image ads, launching separate campaigns will add flexibility with bidding and setting your budgets for the ads, making each campaign more cost-efficient. A headline that presents a direct connection to the ad will let visitors know immediately that the landing page has relevance to the ad that they clicked. The same is true with sub-headlines throughout the content on each landing page. The content on each landing page must speak directly to the promise made in the ad and in the headline. As a guide, look at the content in the ad, and then imagine it is the headline for the landing page. This exercise will help ensure that your landing page content delivers what the ad promises. Prospects will be arriving in a “What’s in it for me?” mode. Make sure the landing page presents an offer that is so attractive that passing on it doesn’t make sense. If the ad contains an offer, the content on the landing page should reiterate and expand on it with specifics on how prospects will benefit by accepting the offer. Including testimonials, reviews, and examples of people or businesses that have experience with your products/services on your landing pages adds credibility. In fact, for many of your prospects, the opinions and comments from third parties will carry more weight than your advertising pitches. Include any content that serves to legitimize your business. It can be as simple as having your business name, address, and phone number listed on your website. You can also derive additional credibility by posting the Better Business Bureau’s (BBB) logo and evidence of affiliations with industry associations and/or charitable organizations. Your landing pages have 2 purposes. The first is to convince prospects that you have the best solution for their pain/problem/quest. The second is to make it easy for prospects to take action, which you can accomplish by positioning call-to-action buttons and/or webforms in obvious, easy-to-use locations. Because landing pages can be set up in so many different ways, you should constantly be testing different configurations to determine the versions that are delivering the best results. Over time, you’ll see that even the smallest changes can substantially improve your conversion rates. The fifth type of conversion occurs when a sale originates online from Google AdWords, but the sale takes place offline. As an example, let’s say someone comes to the website and completes a form to schedule an appointment to speak with a salesperson, which results in an offline sale. This information can be imported to the AdWords platform to enable conversion tracking when there isn’t a digital footprint of the sale. Collecting data on the revenue you’re generating and the cost of your ad campaigns is an essential element of measuring and optimizing the return on investment for your ad campaigns. For example, you may find that ad A has a conversion rate of 2 percent while ad B is not showing any results at all. With this data, you could turn off ad B and reallocate your budget to the ad that’s converting, which eliminates wasted clicks and puts more money toward the ad that is generating leads and sales. Tracking can also provide intelligence that will help you fine-tune your bids – bidding up on the targeting that is converting and decreasing bids on, or possibly turning off, any targeting that’s not converting. 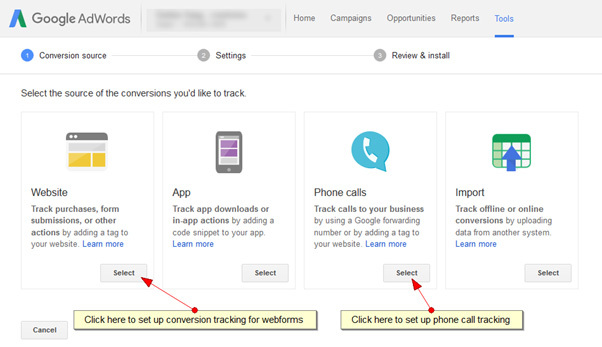 Select the appropriate conversion type and follow the steps to set up the conversion. On the final screen, you’ll be asked to copy the conversion code onto your website. Either copy the code yourself or use the button to email the instructions to your webmaster. Once the code is installed on your website, then you’re ready to move on to step 8. 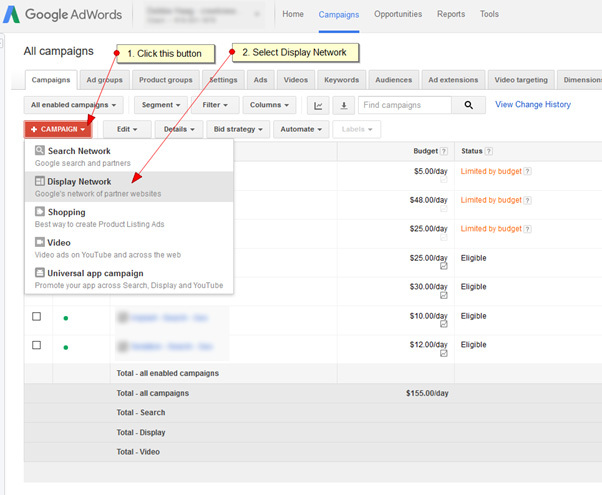 With the first 7 steps completed, it’s time to set up your AdWords campaign for the Display Network. On the next page, give your campaign a name and select “No marketing objective > All features” so that all features will be available to you. Here, an e-commerce business might select a large area, such as U.S and Canada, while a dentist or chiropractor would opt for only local exposure. Select “Manual CPC” bidding and check the box to “Enable Enhanced CPC.” That will give you the most control over your bidding, while also allowing Google to use historical conversion tracking data to bid up or down slightly. For example, Google will bid up on certain website placements if historically you’re getting conversions, and will bid down if you’re not. In the “Budget” field, you can set limits on your daily advertising spending. 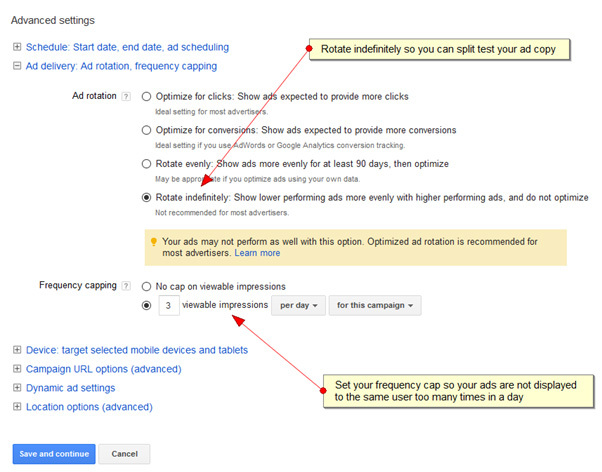 Next, click on the “Ad delivery: Ad rotation, frequency capping” link under Advanced settings. Change the Ad rotation to rotate evenly so you can split test your ad copy. Then, set your frequency cap so your ads are not displayed to the same user too many times in any given day. Next, click “Save and continue” to start creating your ad groups. 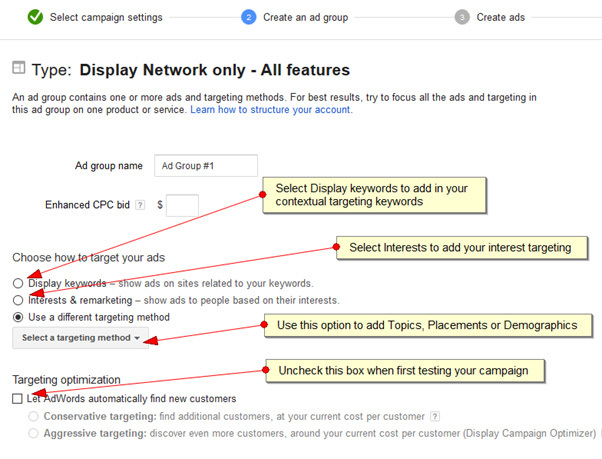 Your ad groups are subsets of each campaign that can use the different targeting options found in step 3 above. For example, one ad group could use keyword contextual targeting only, while another ad group could use interest-based targeting and topic targeting together to ensure you’re reaching the right audience reading the most appropriate content. After you give your ad group a descriptive name, it’s time to set your bid. 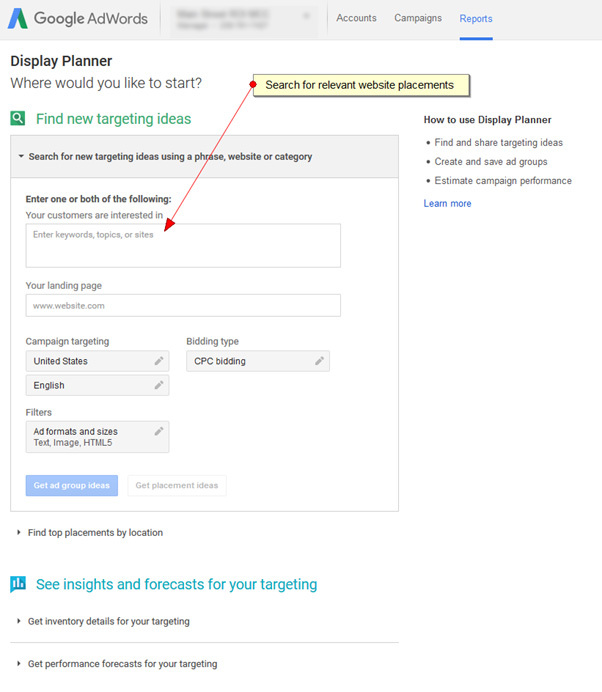 In step 3, you used the Display Planner tool in AdWords to determine the best targeting for your ads. While using this tool, Google will also suggest bids required to show your ads. Start your campaign using these bids and then adjust based on results. Now, it’s time to add the targeting you identified in step 3. Select the appropriate targeting you want to add, and then enter your targeting options. On the next page, you’ll be able to copy/paste your ad copy to create your text ads. As recommended earlier, start with text ads first, test them for performance, and then set up your image ads using the copy from the top performing text ads. If you’re starting with multiple ads, which I recommend, you can click on the “Create next ad” button to repeat the process. 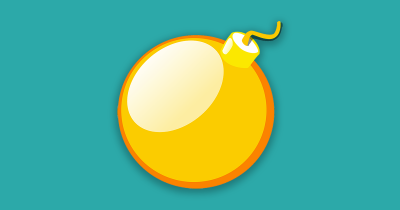 The final step is to adjust your mobile device targeting. Go to the Settings tab of your campaign and then click on the Devices sub-navigation button. On this page, you can adjust your mobile bid from -100% (no mobile advertising) to 300% (bid more aggressively for mobile devices). Unless you have a mobile optimized website, I recommend you set this to -100% and focus your ad budget on computers and tablets. Congratulations, you’re ready to turn on your ads! The focus of this guide is to ensure you set up your campaigns properly so they have the best chance of generating leads and sales for your business. However, your job is not done once the ads are live. Do Not “Set And Forget” Your Campaigns! You cannot just “set and forget” your advertising campaigns and expect them to run themselves. If you do, they’ll run themselves into the ground! It’s critical to continually review your ad performance, targeting, and landing page performance, and make adjustments based on the results of your campaigns. Once your ads are live, then it’s time to test each of the key areas of your campaign to find the optimal combination for your business goals. For example, test your ad targeting, your ad copy and layout, and your landing page copy and layout. Then, once you have made improvements, test again! This process of testing never ends because there is always room to improve your campaigns, and your competitors are always working hard to cut into your share of the ad space. 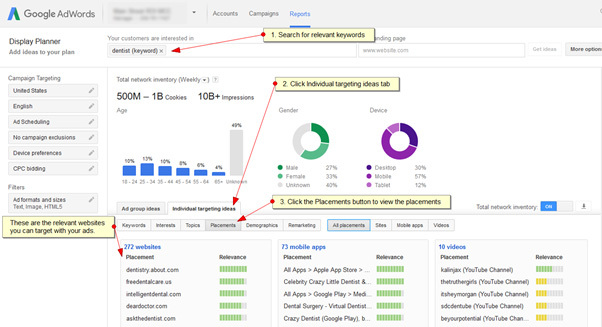 To succeed long-term in Google AdWords, follow the steps in this guide to set up your campaigns correctly, and then focus on testing and improving month after month. Phil Frost is co-founder and COO of Main Street ROI, a digital marketing agency based in New York City. 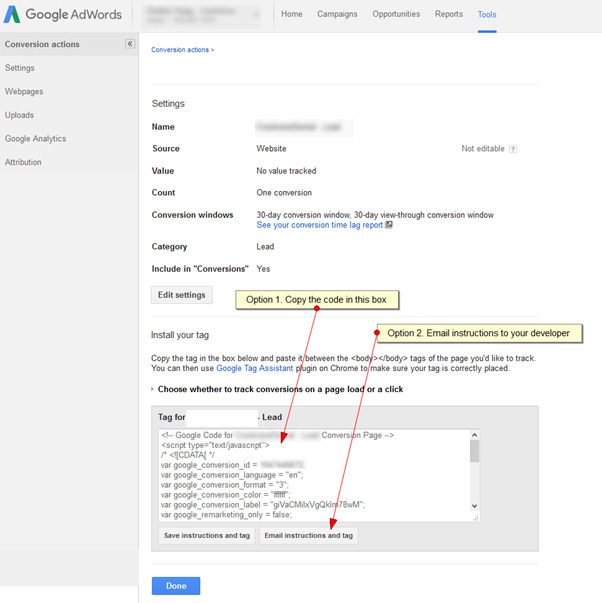 Want more AdWords tips? Get your free copy of Phil’s Ultimate Google AdWords Checklist.